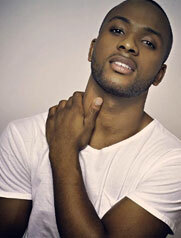 Angelique Cruz is a dancer, choreographer, and instructor from New York City. 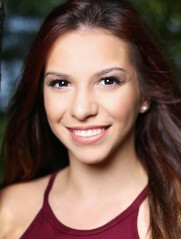 Celebrating her 8th season with Performers Edge Dance Academy, she is excited to share her passion and love of dance with the new generation of students. She previously trained at PEDA in various genres of dance and competed, regionally and nationally, throughout the competition dance circuit under the direction of Stefanie Salaman. Angelique received her B.F.A. in Dance Studies from Long Island University which allowed her to gain the opportunity to perform works by world-renown companies such as Complexions Contemporary Ballet, Paul Taylor Dance Company, Parsons Dance, Alvin Ailey American Dance Theatre, MOMIX, and more. Angelique has also performed in some of New York City's greatest venues including Madison Square Garden, Symphony Space, and Lincoln Center. Angelique has lent her talents both performing and producing works ranging from commercial and concert dance, to competitive dance and the musical theatre stage. Her work has been showcased at New York Fashion Week's Target Style in Vogue event. Her students have been recognized for technical excellence as well as awarded the Industry Dance Award's People's Choice and Outstanding Performance Awards. 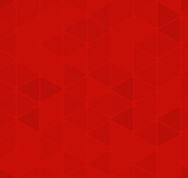 Angelique hopes that she will inspire her students with her innovative and captivating work. Julie Grenier is a dedicated and passionate dancer and teacher who lives and trains in New York City. Originally from Massachusetts where she began dancing at age 5, she moved to the city after graduating high school to attend an acting conservatory and pursue a career in the performing arts. Growing up with a strong tap background, upon moving to the city, Julie trained extensively at Broadway Dance Center, completing their training program with a focus in contemporary. Julie is always looking to better herself as dance educator by continuing to learn and take class herself at BDC and various studios around the city. As a dancer, Julie's performances include the Broadway Dance Center Showcase at Symphony Space, the Brooklyn Dance Festival as part of the Brooklyn Dance Festival Company at the Actors Fund Theater, and with Synthesis Too under the direction of Tracie Stanfield. Julie is excited to be teaching at Performers Edge Dance Academy and loves working with her students of all ages each week! She is looking forward to seeing all their hard work and talent come together onstage as well as continuing their growth into next season. 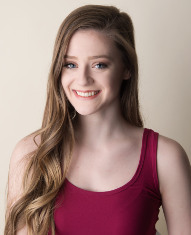 An Alabama native, Caitlin grew up dancing competitively and went on to study Communications and Dance at Troy University, where she traveled an performed with Troy Dance Repertory Ensemble/Troy Dance Theatre. 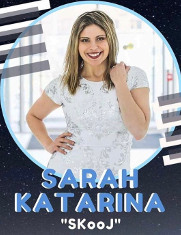 While in school, Caitlin choreographed yearly for every TROY Dance performance and was called upon to fill in for a full semester for a university professor on maternity leave in the spring of 2012. In March 2015, Caitlin moved to NYC to continue working as a freelance dancer and choreographer - specializing in contemporary dance. She has since performed in a variety of NYC dance festivals including the Third Annual Footprints Mondern Dance Festival, MachineHDance Festival, NACHMO, Six Deggrees of Separation: Reflections, and Nacre Dance. Other highlights include: "Wrestles With" parts I & II (film), Dance into Deliverance (dancer), “Enoument” Dance Film (choreographer), and DanceWorks New York City (dancer/ choreographer). 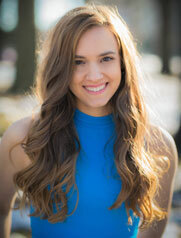 Caitlin found her home as a teacher for Performers Edge Dance Academy and has enjoyed working with PEDA's talented and dedicated students the past two years. She looks forward to many years to come with the PEDA family! Elisabetta Spuria is originally from Italy, where she started her ballet training at the age of 6. In addition to that, she studied jazz, musical theatre, lyrical, contemporary, hip hop, and flamenco. Since she moved to New York City she has been working with such artists as Mariah Carey (“Charmbracelet World Tour”) and Michael Bolton (“Only A Woman Like You Tour”) as both associate choreographer and assistant director. She has been assistant choreographer, dance captain and performer in numerous theater productions: Footloose, Nights on Broadway III, the operas Carmen, Candide and Aida. Elisabetta has choreographed productions of: Spring Awakening (ReVision Theatre/ TheatreC), Hedwig and the Angry Inch (LIVE Asbury Park), Hair directed by Andrew Goldberg, Chicago at the Michael D. Palm Theatre (Co), The Who’s Tommy directed by Carlos Armesto, Tess A New Rock Opera (NYMF), disOriented (Peter Jay Sharp Theatre), the Off Broadway play Zelda at the Oasis, Standby (NYMF), Madame Infamy (NYMF), Billy Lewis Jr.’s Jealousy (music video). She was the associate choreographer for the PBS children show The Electric Company and for ABC’s One Life To Live musical episodes. Elisabetta travels extensively to teach master classes and workshops throughout North America and across the globe. 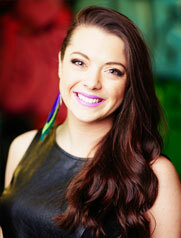 She has also been a guest teacher at Broadway Dance Center and at Steps on Broadway in NYC. 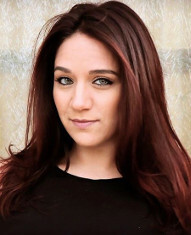 Elisabetta has been teaching jazz, musical theatre and contemporary/lyrical for over 18 years, she enjoys working with students of every age and level, her choreography has been recognized by many dance competitions all over the US. 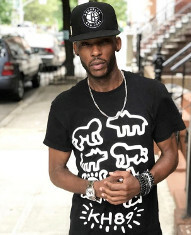 Brian Streater is originally from Charlotte, NC, has lived in Los Angeles, CA and now resides in Brooklyn, NY. 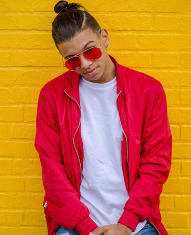 At age 7, Brian started training in Ballet, Jazz, Contemporary, Lyrical, Hip-Hop, Street Jazz, Tap, Gymnastics and Aerial Acrobatics. In 2004, Brian had the opportunity to travel internationally and perform with Mark Marino and The American Dance Company where he and the team competed against others from around the globe in the World Dance Championships—and placed first. For six years, Brian then traveled and performed around the world with Royal Caribbean International, one of the largest cruise companies. 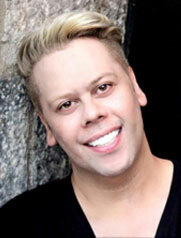 Brian also was cast in the Broadway musical, “Hairspray,” to perform on the 66th Annual TONY Awards live telecast. 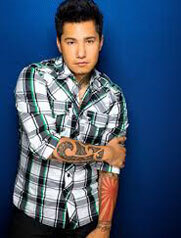 In 2012, Brian was signed to GTA Talent Agency (Los Angeles). 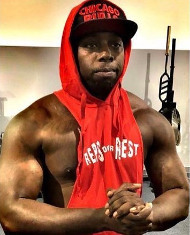 Among other roles and casts, Brian was chosen to perform in one of the largest charity events in Europe (Helsinki, Finland) with pop artist, Benjamin Peltonen. 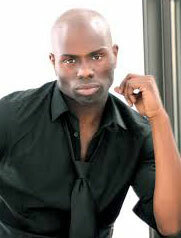 Brian also was one of the founders and creative and artistic directors of the BeyondURLimits Dance Intensive. 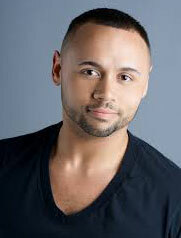 In addition to performing, Brian choreographs and teaches at various studios in NYC. 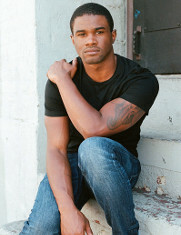 Brian currently is signed with Lucille DiCampli Artist Representation (NYC). Jessica Mudzinski cannot remember a time in her life without dance. Having started at a local studio at the age of 3, she went on to become a competitive dancer winning numerous title awards. She started teaching dance at the age of 14 and has now been instructing dance and gymnastics for over 15 years. 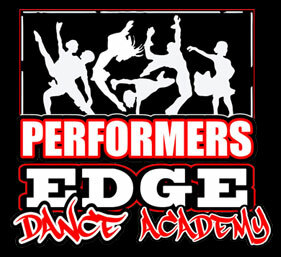 This year will be her 10th year teaching at Performer's Edge Dance Academy. After graduating from Cardozo High School's Performing Dance Program, Jessica attended Long Island University C.W. Post where she obtained a B.F.A in dance studies. At C.W. Post she had the opportunity to work with current and former members of The Jose Limon Dance Company, The Paul Taylor Dance Company and The Alvin Ailey Dance Company. While with the Post Concert Dance Company, Jessica performed as a featured soloist in a recreation of Jose Limon's "The Winged". During her time at C.W. Post she was also chosen to be featured in a commercial advertising the university's dance program. A month after graduating college, Jessica joined Ballet Deviare. Jessica performed with Ballet Deviare in "Memento Mori" and was also in "Disconsolate" a short film featuring Ballet Deviare that was accepted in the Royal Flush Film Festival. 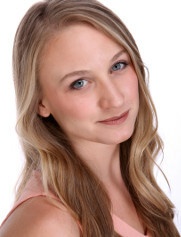 Currently Jessica teaches all genres of dance including ballet, pointe, lyrical, contemporary, jazz, tap and gymnastics. She has completed the USA Gymnastics course on the Fundamentals of Gymnastics and has completed a Tumbling Effects workshop this past June. As and choreographer for PEDA's highly acclaimed competitive team she has been recognized with numerous choreography, overall and high place awards at various dance competitions. 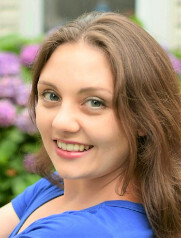 In addition to teaching, Jessica judges for several national dance competitions including, Nexstar National Talent Competition, Kids Artistic Revue and Rainbow National Talent Competition. Being a judge reminds her of the excitement she felt as a child attending dance competitions and she loves seeing how far the world of dance has come since she started her career. It is a great honor to teach all the wonderful dancers at Performer's Edge Dance Academy and Jessica is delighted to see how much to studio has grown and evolved over the past 10 years. Nothing is more rewarding than seeing the dancers you work with weekly perform on stage doing what they love. Gabrielle Cruz is a native New York dancer, teacher, and choreographer. She discovered the art of dance at Performers Edge and competed regionally and nationally throughout the competition circuit winning numerous overall and title awards. Her passion led her to continue training at Adelphi University, where she received her B.F.A. in Dance. At Adelphi, she studied under and performed works by Earl Mosley, Orion Duckstein, Frank Augustyn, Adelheid B. Strelick, Michael Thomas and others. She went on to become a member of the Alison Beatty Cook Dance Company. This gave her the opportunity to perform in venues across the east coast. 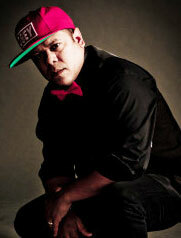 Gabrielle has choreographed and danced with freestyle music artist, C-Bank, during the Forever Freestyle Concert. She also has worked on New York Fashion Week's Target Style in Vogue Event. Gabrielle is excited to be back where it all started at PEDA. She is looking forward to seeing her students evolve and blossom into beautiful dancers on and off the stage. She hopes her love of dance will inspire them to enjoy every step along the way! Kimberly Sausman was born and raised in Westerville, Ohio where she found her initial love for movement. She is a mover, teacher and performer. Kimberly attended Troy University and received her Bachelors of Science degree in Biomedical Sciences and Dance. Here, she had the opportunity of studying modern, contemporary and jazz dance under the direction of Tracy Gilland, Nicki Loud, Erika Hand, Dominique Angel and Elie Lazar. Kimberly has performed works by Kyle Abraham, Dean McFlicker, Kyle Hotchkiss, CiCi Kelley and the Isadora Duncan Foundation. She continued her training by receiving a tuition scholarship to the American Dance Festival where she studied contemporary, modern and improvisation from Gerri Houlihan, Pamela Pietro, Gerald Casel, Ishmael Houston-Jones and Curt Haworth. 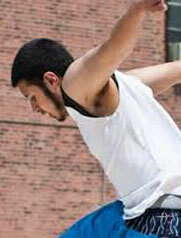 After college, Kimberly moved to Atlanta, Georgia to perform with modern company, Full Radius Dance (physical integrated company) and contemporary company, Atlanta Dance Collective. With these companies she performed and guest taught across the south east and finished with a tour in Madrid and Valencia, Spain. While Kimberly loved her time in Atlanta she had always felt a calling to New York City where she now resides as a freelance dancer and teaching artist. She has been apart of a number of dance festivals such as WaxWorks, Bridge for Dance, RAW and is looking forward to many more. Kimberly is so excited to be joining the Performance Edge Dance Academy family and is ready to start movin’ and a-groovin’ with all the dancers!